John Gonzalez and Amy Sherman of MLive co-host "Behind the Mitten," a radio show that features a behind the scenes look at fun things to do in Michigan. 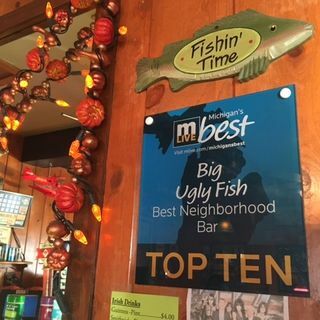 This weekend they hang out at Big Ugly Fish in Saginaw, one of MLive's Best Neighborhood Bars. On this episode of BTM they interview Mike Hanley, the owner of Big Ugly Fish, and Jessica Shepherd of MLive, a life-long Saginaw resident. They talk about things to do and what they love about the area. John and Amy also run down ... Maggiori informazioni things to do statewide, and they feature BEER of THE WEEK from Founders Brewing Co. This episode aired on Nov. 12-13, 2016.